All of our wheels are covered by a two year limited warranty and lifetime discounted crash replacement service with the option of two years free crash replacement for an extra £35. This applies for the original purchaser only and does not cover crash damage or normal wear and tear. If one of our rims or wheels is found to be defective you will receive, at our discretion, free repair or replacement and we will refund all shipping costs when we confirm a warranty claim is justified. In the unlikely event that you manage to damage a rim, we will rebuild your existing hub onto a new rim and replace all damaged spokes for £180 (per one wheel) including the cost of shipping the re-built wheel back to you. This applies to the new owner for the lifetime of the wheel. However, we also offer this service to any subsequent owners at our discretion provided they have proof of purchase or can convince us they have legitimate ownership of the wheel. For an extra £35 we will rebuild any damaged wheel for free within the first two years from purchase no matter how you damage the wheel. Damaged rims are an extremely rare occurrence so while we will replace a damaged rim an unlimited number of times within this two year period, if you do damage a rim more than once we would ask that you work with us to understand why this is happening and how it can be prevented in the future. This applies to the original owner only. 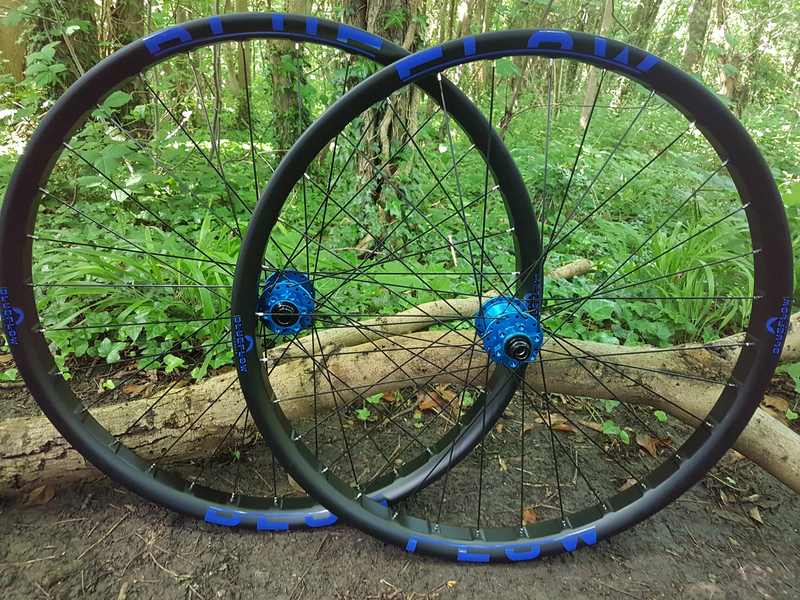 Click here to view the wheelsets.